We went for lunch after the open mats. Stu went for his Korean vegetarian meal. Serge had for his usual Chinese pork soup but forgot to eat because he dreamt about his next gi company plan. 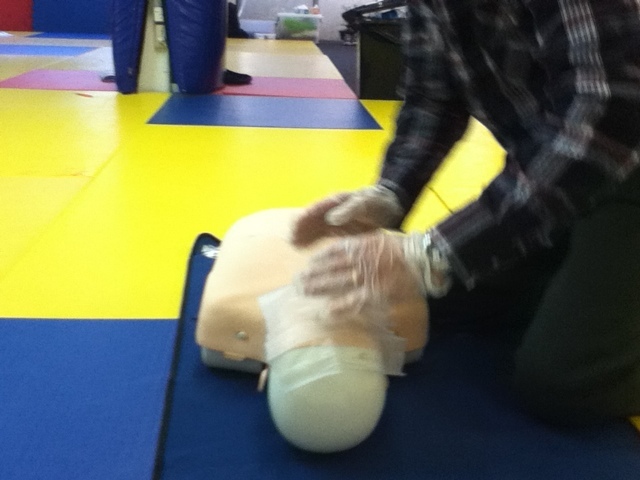 We hit back Douglas santos BJJ for our first aid course with CPR. 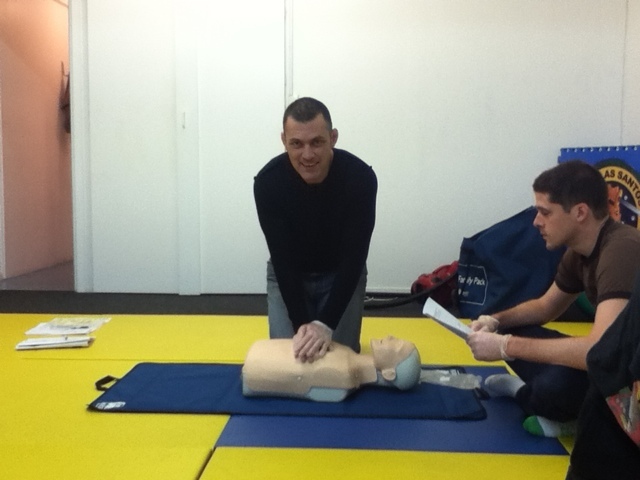 Security Medical Services (SMS) provided us with the training. They will come to your martial art club as well. They can provide NZQA assessors to train and certify your staff or club members in Workplace First Aid, or First Aid refresher courses. Their instructors are trained by ProMed (Pro+Med) Medical Services (NZ) Limited and can issue the relevant unit standards (6400, 6401, and 6402) Thei staff have trained a wide variety of clients but can share their daily experiences from their current involvement in the emergency service sector.